Deadline to register is May 1, space is limited. Registration is $125 per person and includes breakfast beginning at 7:30. 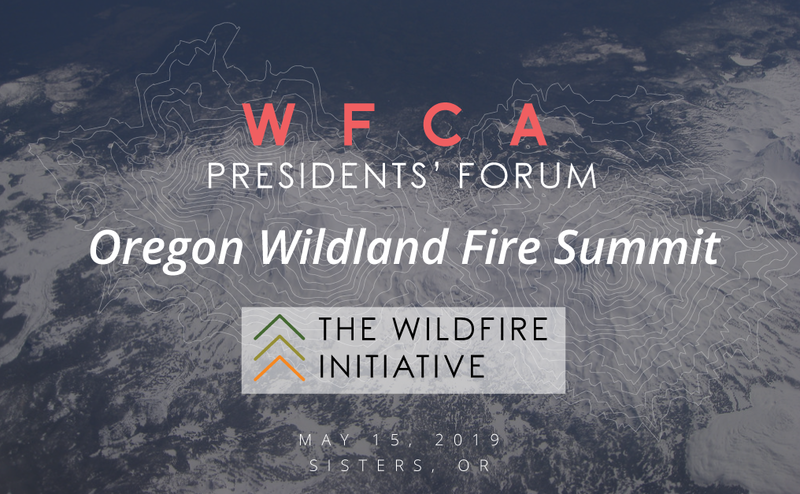 Western Fire Chiefs Association in partnership with Oregon Fire Chiefs Association invites you to attend a ½ day Wildland Fire Summit. This is being held in conjunction with WFCA Presidents’ Forum. Speakers will include Chief Kim Zagaris, WFCA Wildfire Policy and Technology Advisor, Chief Michael McLaughlin, Fire Chief Consumnes Fire Department and WFCA committee chair on Wildfire Policy and a special presentation by Chief David Hawks, Butte County Fire Chief providing first hand knowledge and experience from lessons learned in the devastating Camp Fire in Paradise, California last fall. Discussion topics will include: policy, technology, systems, vegetation management, structure resiliency, insurance and ample opportunity for Q&A. In 2018, the Western Fire Chiefs Association convened a Wildfire Policy Summit in Sisters, OR. The summit brought together fire service leaders and subject matter experts to identify and analyze wildfire issues. A Wildfire Policy Summit Report was produced that focused on 5 areas. One of those areas was improving technology in wildfire through adopted policy and the identification of best practices. At this summit, subject matter experts will participate in a working group to identify actionable solutions to the challenges that have been identified in the report. Bringing Chiefs in the West together to tour Paradise, CA and the results of the devastating 2018 Camp Fire. Gathering of Western Chiefs surrounding the challenges and opportunities involved in fighting wildfires.